Olive Anita Stewart Mayfield, age 91 years old, passed away on Tuesday, January 15, 2019. Born in Wilmington, Delaware in 1927, Olive A. S. Mayfield was the daughter of the late Claudine and Clarence Joseph Stewart, Sr.
She spent her early years — grades one through six — at #29 School. As Salutatorian of her class, she graduated from Howard High School in 1944. With Highest Honor, she graduated from Delaware State College with a Bachelor of Arts degree in Elementary Education in 1948. She graduated from the University of Delaware with the degree of Master of Education in 1953. She taught for 39 years in the Wilmington Public School System followed by the Christina School District. 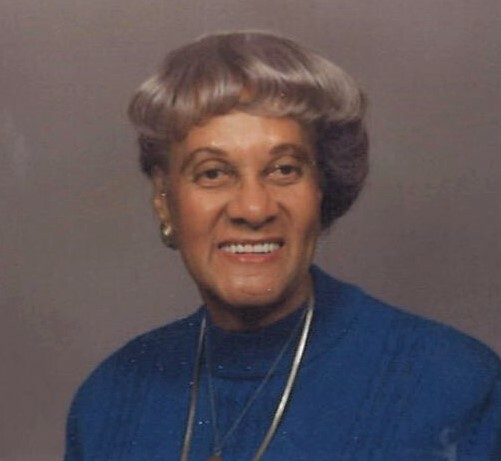 Olive was a Life Member and Golden Soror of Zeta Omega Chapter, Alpha Kappa Alpha Sorority. She was Past Regent of the Daughters of Isabella, Ave Maria Circle #1068. She was a member of the New Castle County Retired School Personnel Association. She also was a member of Christ Our King Church, a former Lector and a member of the Altar Society. She was a member of the Salvation Army Senior Center and the Wilmington Senior Center. Following her retirement, Olive studied courses at the Academy of Lifelong Learning and she enjoyed a membership at a spa. She traveled extensively for a period of years and enjoyed friendships and activities at the senior centers. She especially liked wearing her pedometer and walking in the gym. She looked forward to exercise class and to monthly visits to the Veterans Hospital and Hillside House. Sudoku and word puzzles were two of her favorite pastimes. Olive was predeceased by two sisters, Annabelle Melton and Muriel Congo, and two brothers, Clarence Joseph and William Harold Stewart. Olive is survived by her son, Edward Lee Mayfield, Jr., his wife, Reyna, and their daughter Destiny. Olive is also survived by her daughter, Bonnie Mayfield Early, and her daughter, Alessandra. She is survived by a sister-in-law, Esterine Stewart. She also is survived by nieces, nephews, and cousins. Relatives and friends are invited to attend her Mass of Christian Burial at 11:00 a.m. on Tuesday, January 22, 2019 at St. Joseph’s Church, 1012 North French Street, Wilmington, DE. Viewing will be from 9:30 a.m. to 10:30 a.m. Starting at 10:30 a.m., Alpha Kappa Alpha Sorority will conduct its revered “The Ivy Beyond the Wall” ceremony, reserved for sisters who have passed. Interment will follow at Cathedral Cemetery.